Jan. 14, 2019, 12:10 p.m.
By Ken Doctor @kdoctor Jan. 14, 2019, 12:10 p.m.
Alden Global Capital, the most reviled newspaper owner in the business, now wants to buy Gannett, the United States’ largest daily newspaper company. As reported Sunday evening by The Wall Street Journal — and then confirmed via early Monday morning press release — Alden, through its Digital First Media/MNG Enterprise ownership, has offered a 23 percent premium for Gannett. This may be the first newspaper mergers-and-acquisitions story of 2019, but it definitely won’t be the last. Consolidation (and the cost-cutting that comes with it) remains the dominant strategy in the daily newspaper industry. If revenue continues to drop at or even near double-digit levels, the consensus thinking is that radically reducing expenses through consolidation is about as good a card as anyone has to play. Eliminate or reduce corporate staffs, centralize everything that can be centralized, and maybe in some cases continue to make small investments in newer revenue streams. Just a month ago, McClatchy was close to finalizing its own big consolidation by buying Tribune Publishing. But it got left at the altar when the Tribune board rejected its bid. Remember both those names as we consider the cascading effects of this Alden bid — the end result of which might be a new Gannett/Tribune combo. Alden’s DFM, of course, stands at one extreme of the industry, unusually naked in its strategy of extraction, investing as little as possible in the business as it harvests some of the highest profits in the industry. (Documentary film producers are now hard at work on telling the tale of the daily newspaper apocalypse through publishing’s bête noire.) 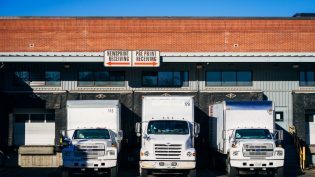 Alden took a severe media beating last spring as it whacked one-third of The Denver Post’s newsroom, but Alden president Heath Freeman continues to see financial opportunity in what may be the final years of print. Alden president Heath Freeman has recently noted some interest in buying other chains. His rationale is quite understandable: He’s optimized his cost-cutting enough to keep profits flowing smoothly, pushing only a tenth of his subscribers a year to cancel. He believes he could “optimize” other chains and, to their dying moments, extract higher returns. So how will this bid play out? Consistent with its fiduciary duties and in consultation with its financial and legal advisors, the Gannett board of directors will carefully review the proposal received to determine the course of action that it believes is in the best interest of the company and Gannett shareholders. What all this means is Gannett, like it or not, is in play. Even two years ago, that statement might have been dropped jaws — Gannett was clear it wanted to be the consolidator, not the consolidatee. But no longer: In an industry of unending downturn — and in a world flirting with a who-knows-how-deep recession to come — all bets on the conventional wisdom of newspaper ownership are off. Anyone with the appetite and dollars to buy can, whether it’s a Patrick Soon-Shiong or an Alden Global Capital. Anyone searching for a turning point in the company’s fortunes should look at CEO Bob Dickey’s attempted hostile takeover of Tribune Publishing in 2016. 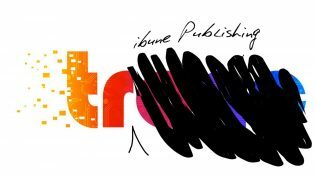 (It was Tribune Publishing before it was Tronc before it was Tribune Publishing again.) In resisting Dickey’s bid, Tribune’s then-chairman Michael Ferro vowed privately and publicly to wreak vengeance on his unwanted suitor. 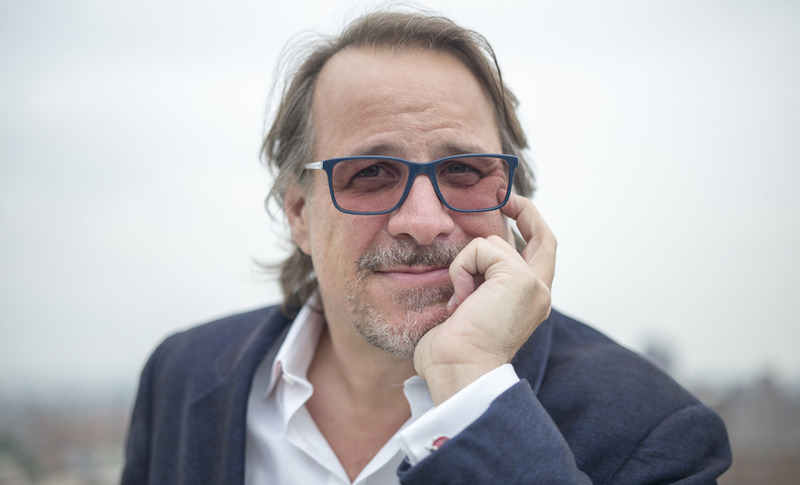 Ferro — who still heads up a group that owns 25 percent of Tribune and essentially directs it to this day — is no doubt enjoying today’s news. Gannett’s bid to buy Tribune started disastrously when it missed a deadline to file its own board slate at an annual election and then petered out as now-L.A. Times owner Patrick Soon-Shiong invested with Ferro, helping thwart the takeover. Gannett’s share price tumbled and has never really recovered. Neither did Bob Dickey’s standing; it’s no accident that Alden’s bid comes barely a month after Dickey announced his retirement, which is set for May. Who will replace Dickey? A national search is now just taking shape. The company looked at its thin executive bench — cleared by years of executive re-organizations and poor succession planning — and decided that it has no successor inside the company. Just this last week, Sharon Rowlands, who had headed up the company’s business leadership and was passed over for the job, departed to become CEO of web.com, a digital marketing company. Alden’s Freeman apparently celebrated the holidays by assessing this particular moment of Gannett weakness — a lame-duck CEO preparing to announce another quarter of trouble. And so he struck. Think of it as a game of two-and-a-half dimensional chess — something’s missing, but we may not be sure what. Start with the Alden bid itself. The offer’s in cash — a rather pricey pile of it, at more than $1.35 billion. Does Alden have that money available today? If not, can it get it? Financial insiders note recent volatility in credit availability and say that some deals planned for December have been slowed as a result. Overall, 2019 projections show credit nervousness. Because we know how to consolidate and operate successful newspaper businesses over the long term, we have approached members of your Board and management on multiple occasions about a potential strategic combination. Despite our overtures, Gannett has not meaningfully engaged with us. Gannett has lost 41% of its value since its debut as a public company two and a half years ago, significantly underperforming its peer group and indices. 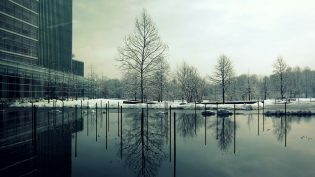 During this period, Gannett suffered from a series of value-destroying decisions made by an unfocused leadership team — overpaying for a string of non-core aspirational digital deals and pursuing an ill-fated hostile for Tribune Publishing, all while Gannett’s core revenue, EBITDA, margins and Free Cash Flow continue to decline. With Gannett’s CEO departing by May and its key digital executive leaving later this month, there’s now an even greater leadership void. Frankly, the team leading Gannett has not demonstrated that it’s capable of effectively running this enterprise as a public company. Gannett shareholders cannot sit by and watch further value erode while the Board casts about for a strategy and a leader, especially when there is an opportunity to maximize value right now. We believe Gannett shareholders deserve better. Last month, I predicted: “A Gannett/Tribune combo may re-appear in 2019…Gannett could buy Tribune — or vice versa.” That possibility — which I believed was warming on the back of a stove — will now likely move to a front burner. A Gannett–Tribune merger could blunt an aggressive Alden bid. Both companies’ balance sheets are in better-than-average shape, and we’d hear a ton about the synergies of such a consolidation. But pricing and cash could still be formidable issues. Tribune rejected McClatchy’s $16.50 bid just a month ago — and then saw its share price plummet as low as $10.82, before rebounding with the rest of the market to $13.36 on Friday. (It’s down to about $12.80 in trading this morning.) It was Michael Ferro who refused the deal. Sources tell me he’d likely be more amenable to a Gannett deal today — a victory in that two-year-old battle. The immediate question: How much cash and stock would it take to bring the companies together? Could a stock-only deal pull it off? And, importantly: Can Gannett make the case to its shareholders — especially those who bought speculatively and could sue — that a Tribune merger, creating a huge daily newspaper company by historical standards, is a better deal than that pile of cash from Alden? Then there’s McClatchy. As I’ve noted, in his two-year-stint as CEO, Craig Forman has focused on getting McClatchy’s house in order. He’s negotiating a deal to push back the company’s debt, and he saw the Tribune acquisition as another way to buy time for a digital transformation of the company. After being rejected in December, what cards can he play now? He’ll be looking for new ways to insert McClatchy into the 2019 Consolidation Games. Finally we have the private equity players, like Will Wyatt’s Donerail Group, which made its own bid for Tribune, or Apollo Global Management, which has been sniffing around the ragged edges of the newspaper business for years. (In fact, it came close to buying most of Digital First back in 2014.) At a time of anything-is-possible chain consolidation, might these companies assess and bid? If you want to fully understand the dismal state of the industry, consider that Craig Forman is likely to be the only CEO among all these big companies who’ll still be in place by midyear. As noted, Dickey is retiring at Gannett. With Tribune Publishing likely to be sold sooner rather than later, Ferro acolyte and CEO Justin Dearborn has told associates he’ll hit the door at the same time. Then there’s Digital First. It doesn’t even have a chief executive officer. 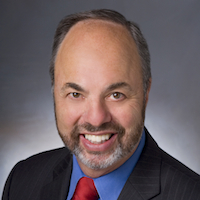 When DFM CEO Steve Rossi retired in fall 2017, the company opted not to replace him. Its chief operating officer, Guy Gilmore, now runs the company from that position. One more way Alden has shown its commitment to cutting costs and reducing headcount, I suppose. And a trivia question: Where did Gilmore spend 20 years working early in his career? Gannett. POSTED Jan. 14, 2019, 12:10 p.m. Doctor, Ken. "Newsonomics: Let the 2019 Consolidation Games begin! First up: Alden seeks to swallow Gannett." Nieman Journalism Lab. Nieman Foundation for Journalism at Harvard, 14 Jan. 2019. Web. 18 Apr. 2019. Doctor, Ken. "Newsonomics: Let the 2019 Consolidation Games begin! First up: Alden seeks to swallow Gannett." Nieman Journalism Lab. Last modified January 14, 2019. 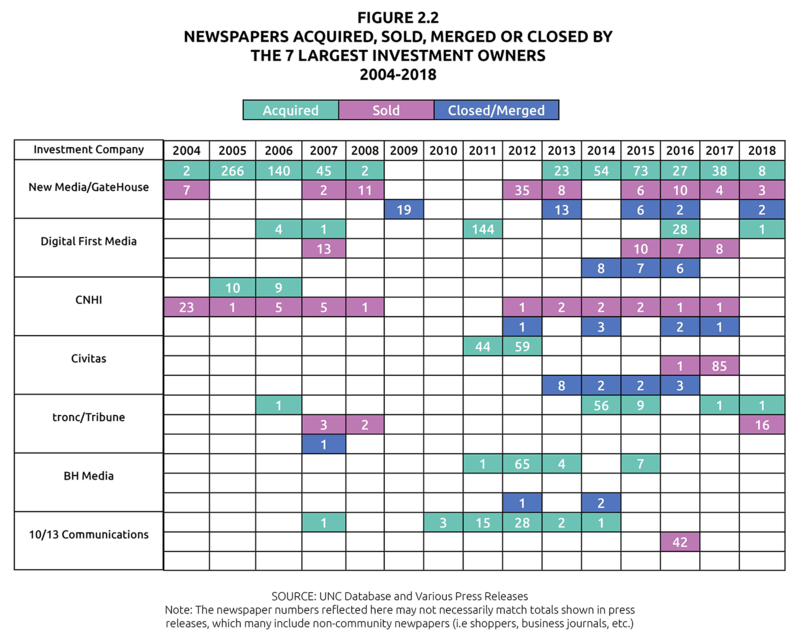 Accessed April 18, 2019. https://www.niemanlab.org/2019/01/newsonomics-let-the-2019-consolidation-games-begin-first-up-alden-seeks-to-swallow-gannett/.